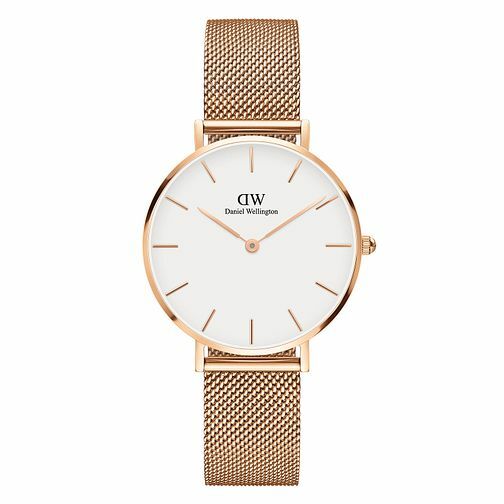 Impossibly elegant, this Daniel Wellington Classic Petite Melrose Watch is undeniably feminine and beautiful. The sleek and slim silhouette delicately hugs the curves of the wrist whilst the 32mm case is wonderfully contrasted against the rose gold plated tonal mesh bracelet, and hands. Elevate your everyday outfits with this stunning watch.